Black Metal and Brews: Beer Review: Weyerbacher's "Insanity"
So, I'm cheating today and reviewing a beer I already love. This is probably the first barleywine I've reviewed, and is one of my favorite beers of all time. 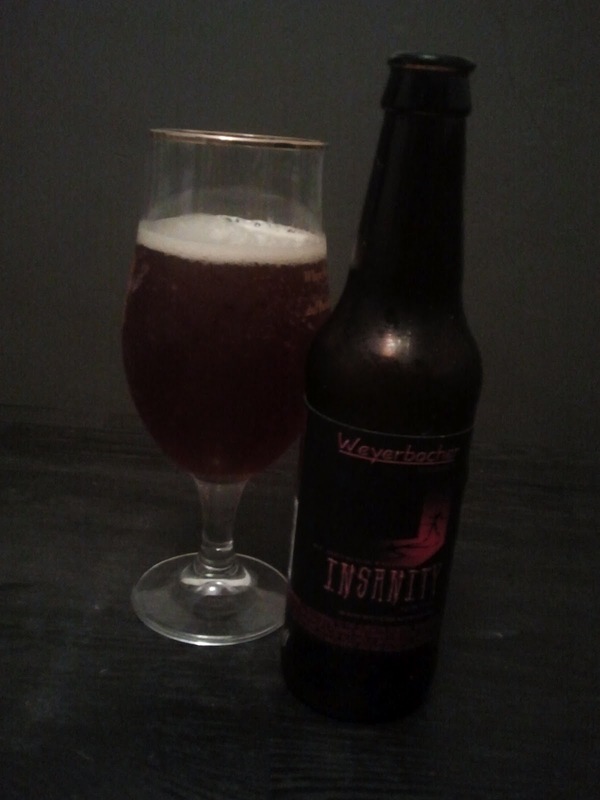 Weyerbacher's Insanity is an oak-aged version of their Blithering Idiot barleywine, which is also an incredible beer. The worn-out saying is that insanity can be defined as doing the same thing over and over again expecting different results. I personally believe this beer should be consumed again and again regardless of results. It's absolutely delicious. You may notice this review is shorter than usual. I really don't need to say much about this beer other than how crucial it is. Read below for details, then get yourself to your local beer retailer and buy this before somebody else does. The initial aroma upon pouring is sweet with hints of honey and raisins. It's not the sickly sweetness of fruit-flavored beers, nor is it wine-like. It's a rich and deep aroma that invites you to lose yourself in a stellar glass of beer. Initial sips taste similar to the scent, but also with slight hints of coffee as well as the sharp and wonderful bite of bourbon of the oak casks. Insanity is a beautiful opaque brown, appearing and tasting much softer than its remarkably high (11%ABV) alcohol content. Due to its potency, and the fact that your friends and loved ones deserve such a great beer, this is one I highly recommend sharing. It's sold in four packs, but even splitting a single bottle with a friend is sufficient in my book. Normally I have more to say about a beer this great, but there really isn't much more to say. 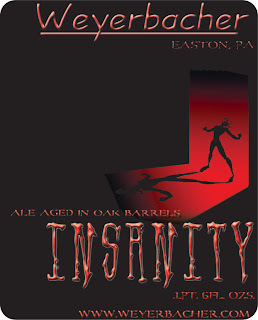 This beer is uncommonly good and you need to buy a bottle and try it for yourself. It's not the cheapest beer on the market, but it's worth the high cost. If any beer on this blog so far could be considered a "top 5" type beer of mine, this is absolutely it.